2018 has come to an end, and while it makes us sad, it also makes us nostalgic. What a year it has been! Right from the launch of LBB in March, we've been doing some fun stuff the city offers. Discovering not just new things, but rediscovering everything amazing Hyderabad has, got us loving the city more. Now, here's a list of the coolest things we got in 2018. Have you given them a shot yet? When Sky Zone — Hyderabad's first trampoline park opened up, we knew we'd bounce away all our worries with our gang. Ever wanted to slam dunk like Michael Jordan? Say no more! Skyzone has that covered for you with Sky Slam. With nine more awesome attractions like Sky Line and Sky Ladder, it's awesome even if you're celebrating your birthdays here. Loo Café is an innovative concept that consists of three washrooms (for men, women, and one accessible to people with disabilities), a café, and space for an ATM machine. Set up in just 170 square feet of land opposite Shilparamam in Hi-tech City, Loo Café does not charge the public for using the toilets but instead generates revenue from the cafe which apparently serves standardised food all round the clock. Other amenities include radio, WiFi, and security. This is one of the coolest and most functional (and of course, thoughtful) things that we got in 2018. When IKEA finally set up its shop in Hyderabad, we couldn't wait for Swedish Meatballs and re-doing our homes. With a fantastic mix of both budget and luxury furnishing and home decor accents, we'd say no trip to IKEA is less than an adventure. Plus, people from other cities call IKEA a fairly good reason to visit Hyderabad. Don't you agree? 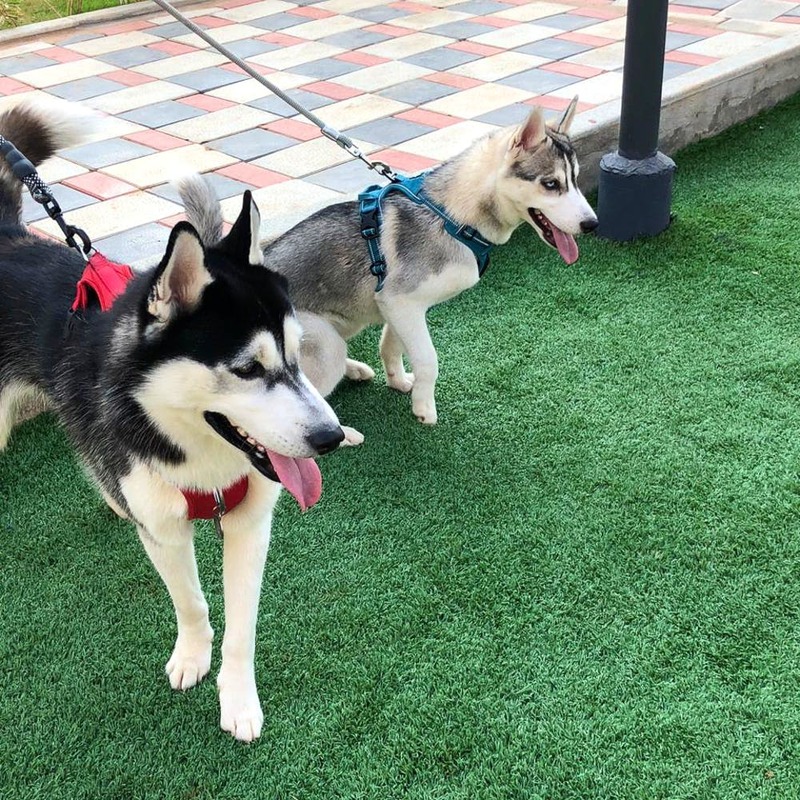 Labelled as the country's first exclusive dog park, it launched only in September. However, it has been a breath of fresh air for people from across the city who gather here every morning and evening with their dogs. The park, in itself, is shaped like a bone and has a splash pool, a walking track, dog training and exercise equipment, an amphitheater and a loo cafe as well. There are separate enclosures for big dogs and small ones to ensure the comfort of both humans and dogs. If you're a pet parent and haven't been here yet, you're missing out. Soap Football — the Brazilian take on classic football has forayed into our city, and we couldn't stop taking turns with our squad or cousins to go play. Picture a large blue (inflatable) turf with plenty of soapy water; while scoring a goal is what you got to aim, good luck doing that while slipping. Dab and dunk yourself in foam if you score a goal! Although Hyderabad Metro Rail started in 2017, most of its lines like Ameerpet, Miyapur, LB Nagar have started functioning only this year, and if you haven't taken a metro yet, you really wouldn't know how easy-peasy it is to reach from one location to another. With Hitech City opening in 2019, we're glad the New Year looks promising already. Often regarded as a fitness centre that isn’t for the faint-hearted, Cult has garnered quite a following among fitness freaks. Offering a wide range of activities that include Zumba, Yoga, Boxing, Strength & Conditioning, HRX workout (strength & conditioning program that improves core strength, muscles, stamina, agility, and more), we've heard only awesome things about Cult. In fact, peeps don't crib about working out anymore. AMB Cinemas is a superplex that is making movie watching super convenient with features like valet parking, lounge, on-seat service at the press of a button. It can accommodate 1,638 members and one of the screens only has recliners, and if you love your recliner seats dearly, you've got to make this a constant movie theatre to catch up on flicks. This seven-screen movie theatre, located in Sarath City Capital Mall and if you haven't watched a movie yet, make plans and go now!